ITTA BENA, Miss.—A Mississippi Valley State University staff and faculty member were recently recognized by The Greenwood Commonwealth Newspaper as two of this year’s “Top 30 Under 40” recipients. 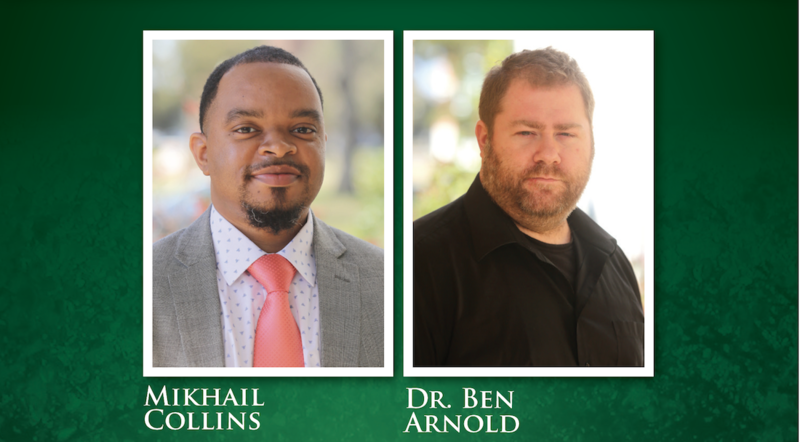 MVSU’s Mikhail Collins and Dr. Ben Arnold were recognized last week by the Greenwood-based paper. The list features 30 individuals, all under the age of 40, who have significant leadership roles in business, education or other major community organizations and are making a positive mark in the greater Greenwood area. Collins currently serves as the Senior Accountant/Accounts Receivable Supervisor at MVSU—a position he has held for the past five of his 10 years at the institution. A graduate of Rust College, Collins is proud of his time at Valley and equally proud of being named a “Top 30 Under 40” recipient. One of Collins’ passions is working with young people, and he expressed how it is his mission in life. 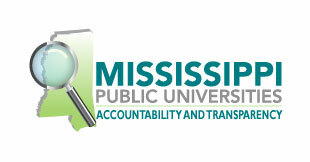 “I have always had a passion for cultivating young minds; thus, my mission at MVSU comes as second nature. Being selected as a recipient of ‘Top 30 under 40’ is a refreshing reminder that my work is not in vain. I sincerely believe that to whom much is given, much is required,” Collins added. Arnold, a percussionist and associate professor of music, has worked at MVSU for 12 years. He is originally from Ohio and received a Bachelor of Music Education from Ohio University in Athens, Ohio; Master of Music Percussion Performance from the University of Tennessee in Knoxville; and a doctorate in Music Arts and Music Education from Boston University. Arnold enjoys working with students at MVSU and said music had been a part of his life since he was a kid. “I have been a professional musician since I was 13 years old, so it seemed like the right career move,” he said. As part of the recognition, Arnold and Collins were invited to an awards dinner Wednesday, March 27, where they were formally presented with the award. In addition, they were featured in the Greenwood Commonwealth’s “Top 30 Under 40” special publication.